« Hey Inga-Binga, What’s for dinner? I obtained a scan of what appears to be a photo taken of Inga Arvad with Adolf Hitler in 1936, that could be the same photo that caused her to be denounced by a co-worker to the FBI as a German spy. Evidently in Finland they don’t throw anything away. 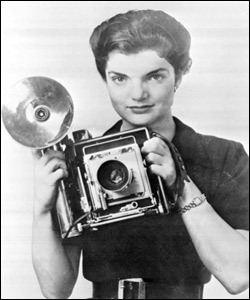 But for now, here’s a photo of Jacqueline Bouvier/Kennedy/Onassis when she was working as a photographer for the Washington Times-Herald.